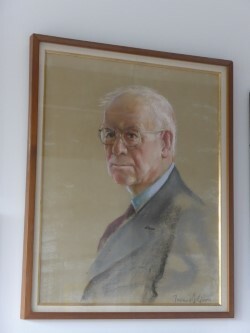 Francis Quirk Master Painter Blog: Pastel Portrait of Edgar Lee Masters Found! 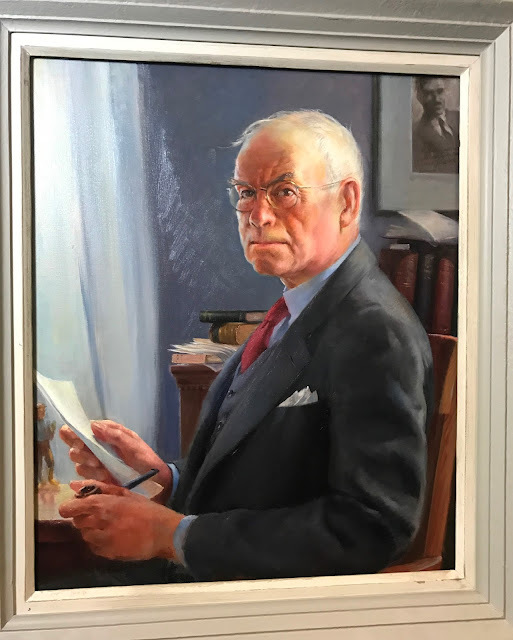 We have previously written several posts about Francis Quirk's portrait of Edgar Lee Masters, which now is in the collection of the National Portrait Gallery. Quirk was friends with the author space who rented a room from Quirk while he was teaching at Ogontz College. The portrait is stunning and we had the opportunity to see it up close when we the Gallery graciously allowed us into their archives for that purpose. Through a Pennsylvania friend of Quirk, we have learned of a pastel study for that painting and are sharing with you the image below. The background is a different shade, but the pose and figure are essentially the same. This pastel ultimately belongs in the collection of the National Portrait Gallery or Lehigh University.